Earlier this week, Konami confirmed that gameplay from the upcoming Metal Gear Survive, launching on a yet to be confirmed date on PC and consoles, was going to be shown during the Tokyo Game Show 2016. The Japanese publisher indeed kept its promise, as a new gameplay video has been made available online. The new Metal Gear Survive gameplay video, which can be found right below, showcases a four play co-op infiltration mission. In this world exclusive, METAL GEAR SURVIVE takes to the stage for the first time at TGS 2016. Join a squad of four players as they work together on a mission to infiltrate a dilapidated compound and then defend it from the onslaught of relentless creatures. Using co-op stealth, infiltration and defense tactics, and special new equipment and weapons, the squad provides a glimpse of both new and familiar survival gameplay elements that form METAL GEAR SURVIVE. The recently revealed co-op game isn’t the only Metal Gear release coming in the future. Next month, Konami will release a Metal Gear Solid V definitive edition called Metal Gear Solid V: The Definitive Experience, which will include both Ground Zeroes and The Phantom Pain as well as the additional content released for the latter. 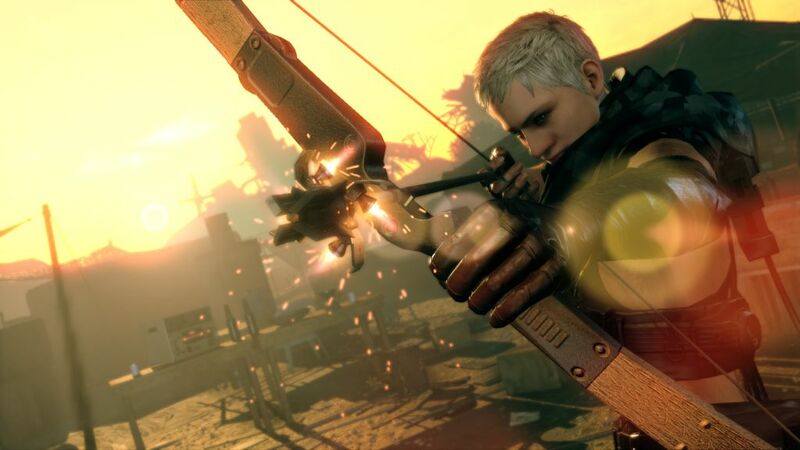 Metal Gear Survive is currently in development for PC, PlayStation 4 and Xbox One, and a release date has yet to be confirmed.